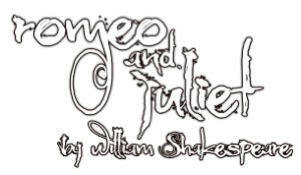 Coeurage Theatre Company, LA’s only pay-what-you want theatre, has announced its 2012 season, which will include Shakespeare’s Romeo & Juliet, April 14 – May 20. The production will honor the running time suggested by “the two hours traffic of our stage.” With a cast dressed in Italian Renaissance costume, but far removed from a museum piece, it aims to give audiences a new notion of “traditional” Shakespeare. It will be directed by artistic director Jeremy Lelliott. The season also feature Lanford Wilson’s Balm in Gilead, Jan 28 – March 4; the Mark Twain farce Is He Dead?, adapted by David Ives, June 8 – July 18; Stephen Sondheim’s Assassins, Aug 3 – Sept 9; and the west coast premiere of Sean Graney’s hit play, The 4th Graders Present an Unnamed Love-Suicide, Sept 29 – Oct 28. Coeurage Theatre Company will continue residence at the Actors Circle Theatre in West Hollywood through the 2012 year. www.coeurage.org.